At Montevallo Family Dentistry, we look forward to caring for your smile. In fact, that’s our passion. We are a modern dental practice that offers full-service dentistry to patients of all ages. Dr. Bobby Shunnarah is a skilled and gentle dentist who proudly serves families from Clanton and the surrounding areas. In one convenient location, we can treat all aspects of your smile, ranging from your preventive care and restorative treatments to teeth replacement and orthodontics. Best of all, we do it with the highest regard to your comfort. Patients can find state-of-the-art dentistry in a comfortable, rewarding environment when choosing Montevallo Family Dentistry. While we use cutting-edge technology such as dental lasers and 3D Cone Beam imaging, we never forget to maximize your comfort at every step. Our office is equipped with a number of relaxing amenities and we offer sedation dentistry during treatments when needed. We also provide ways to accommodate your schedule and ensure we are here during unexpected dental emergencies. We realize that your comfort and convenience are important aspects to your family’s dental care experience. When it comes to your smile, your needs and concerns can be diverse. At Montevallo Family Dentistry, we are qualified to address them all, from general and cosmetic dental treatment to implant dentistry and emergency dental care. While we make every effort to protect your smile from harm, we realize that there are times when you need restorative care. Dr. Shunnarah performs a full menu of services, including root canal therapy, gum disease treatments, tooth-colored fillings, dental implants and more. 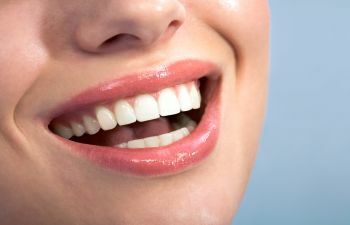 To enhance your smile confidence, you will find an attractive menu of options in cosmetic dentistry. Choose from a simple teeth-whitening procedure before a big event or a full smile makeover with porcelain veneers. Regardless of the severity of your smile imperfections, we are confident we can help you and your family in Clanton. Contact Montevallo Family Dentistry today to schedule your appointment with Clanton’s most trusted family dentist. We treat patients like a member of our own family!